Competition for the lucrative premium class market has been heating up in the United States over the past year. Despite struggles in other areas, American Airlines has been right in the mix when it comes to building better premium class facilities and creating better services for first and business class passengers. The airline has been busy upgrading both its Flagship Lounges, for first class passengers, and Admirals Clubs, which are for business class passengers and others who qualify for lounge access. Also, six months ago, American began an effort to find a new manufacturer for its business class seats. The official line was that its provider at that time, Zodiac, was experiencing production delays. Given the fact that the airline was already investing in lounge upgrades, however, the move away from Zodiac could have also been due to the need for a more-premium seat to go along with the other improvements. 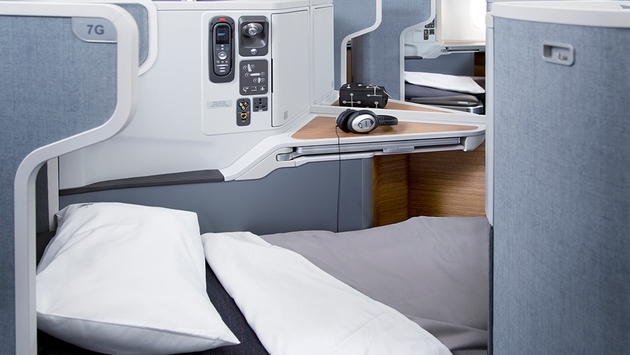 AA’s new business class seat provider is B/E Aerospace. The Florida-based firm’s Super Diamond seats will be installed in the business class cabins of American’s new Boeing Dreamliners and Airbus A350s. The chairs will also be used in some current fleet members. A few Boeing 777-200s are in line for business class upgrades. The 777, 787 and A350 are all used on long haul flights, so international passengers will be the first to experience the new lie-flat units. B/E has worked with the likes of Cathay Pacific and Emirates, so it certainly has experience when it comes to high-end cabin designs. The new seats will come with a couple of major advantages that business class travelers will appreciate. The first is something that has become the industry norm for long haul carriers: a lie-flat design. The chairs recline to an angle of 180 degrees. The business class seats on some Delta and United planes also recline to a bed-like position. Just as attractive is the new cabin layout that the seats will allow. Each business class passenger will have access to the aisle without having to move passed the person in the neighboring seat. American had already announced that B/E will be providing the seats for its new premium economy class. The airline will be offering this step up from economy starting later this year on its new Boeing 787s. The new seats make sense on several levels. First of all, American is obviously trying to get the most out of its business class spaces by providing a better experience that will draw full-fare-paying fliers. Secondly, the airline is currently engaged in a battle with the other legacy carriers in the lucrative transpacific market. In order to capture its share of business class fliers, it needs to at least match the features offered by Delta and United. Furthermore, there is still a large gap in in-flight quality between airlines like Cathay and Emirates and American and its legacy peers. The new seats and lounges are a sign that AA is working to close this gap in a market where it matters the most: the premium classes. The new Super Diamond seats will be on Airbus A350s that are scheduled for delivery in 2017 and Dreamliners that will be coming sometime in later 2016 and 2017. 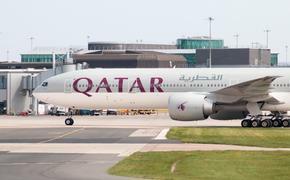 The Boeing 777 upgrades are ongoing, but the airline has not yet announced when it will begin installing the new seats in these older planes.